Not sure what accounts for that. Maybe I’m just in a good mood and more able to see the good in things. But it’s been a great few weeks for reading. 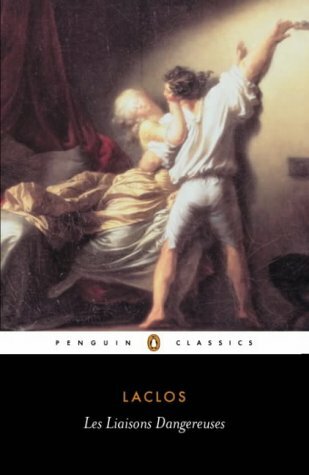 Right now I’m reading Pierre Choderlos de Laclos’ 1782 novel Dangerous Liaisons. This is the book that’s the source material for the film Cruel Intentions. It’s about two French aristocrats, a man and a woman, who plot to despoil two other women, a virginal young girl and a righteous married woman. The book is fantastic in so many ways, of which I only have time to describe one. It’s an epistolary novel (as in, it’s told as a series of letters). However, I’d never appreciated the power and versatility of the epistolary form until now. Because in many epistolary novels and stories, the letters are basically monologues: they’re an explanation for how the narrator’s voice is getting into your mind. But in Laclos’ novel, the letters are, fundamentally, communications. Which is to say, that they are, in themselves, actions. Each letter is an attempt, by one major character, to influence another major characters. Thus, each letter doesn’t just describe events; it is also, in itself, an event. And the receipt of a letter is often what spurs a character to do or say something else. Furthermore, none of the letters are entirely trustworthy. In all of them, there’s some dissimulation and subtext. The letter-writers are not attempting to tell stories–or, rather, they’re not just attempting to do that. Their primary aim is usually to influence another person’s actions. And that means that there is lots of lying and knavery in the letters, and it’s tons of fun to untangle peoples’ double motives and disguises.